Genuine Fiat Punto 3 Door | Punto 5 Door Kit Sunshades. Genuine Fiat 71805080 Fiat Grande Punto Fixed Sun Shades. 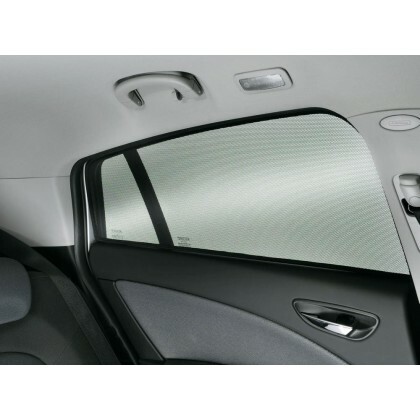 The Tailor-Made Sunshades designed for Fiat Grande Punto provides protection for your rear passengers guards against sun and insects and even works when the side windows are down. The patented sun protection system is exactly and inconspicuously fixed by a special fixing system. Available for 3 or 5 door models. Please select from list box above. Features: Genuine Fiat Grande Punto Sunshades, Tailor Made, Protection for Rear Passengers, Designed Specifically for Fiat Grande Punto, Easily Installed & Removed, For Rear & Side Windows, Available for 3 & 5 Door Fiat Models.Suitable for following vehicles: FIAT - MVS 199.*. * - Grande Punto (2005-2012), Punto 2012 (2012-2017), Punto Evo (2009-2011), Punto MY2018 (2017-....).